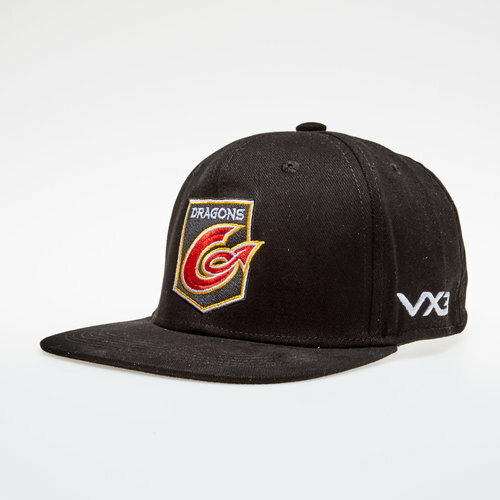 Look your best when you're out and about and show who you're supporting in this Dragons 18/19 Rugby Snapback from VX-3. The Guinness Pro 14's Dragons have designed kits and a training range with sportswear company VX3. With a range of contemporary designs, colours and sizes VX-3 have offered up a bespoke collection aimed at showcasing the Warriors for the talent that they are. Support the Dragons team in modern style. Featuring a snapback adjuster and eyelets for breathability. This cap is black with a black peak. The club badge is embroidered on the front and the VX-3 logo is embroidered on the left side in white. 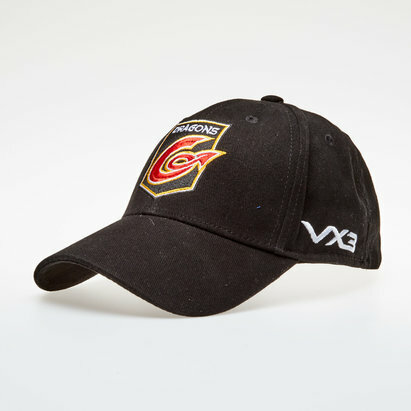 Look your best in this Dragons 18/19 Rugby Snapback Cap.